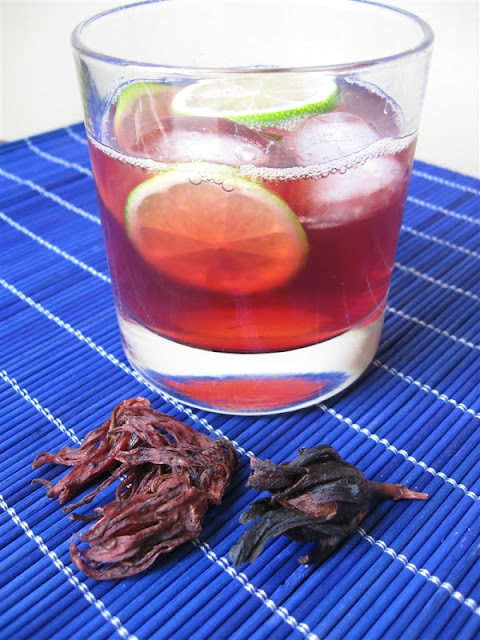 Karkanji is a spicy, tart hibiscus drink from the Central African country of Chad. No, that's not the name of a blond-haired, beefy American pro-footballer. It's an ancient territory named after a massive lake. The Republic of Chad is a landlocked Central African nation south of Libya, west of Sudan and east of Niger. It is mostly a desert nation, containing large chunks of the Sahara, and is also known as the "Dead Heart of Africa". In 1920 France took the area and made it part of French Equatorial Africa but in 1960 they won independence. Unfortunately in 1965, Chad suffered from a civil war that only really ended in 1990. Violence is still common, with political battles taking place as recently as 2006 and 2008. None of Chad’s borders follow natural boundaries, a remnant of French colonial divisions. Lake Chad is the largest geographical landmark and Africa's second largest wetland. It's also the source of the country's name. According to the UN, Chad is the fifth poorest nation on earth. Most of the population are subsistence farmers and herders and some 80% live below the poverty line. Crude oil and cotton are the largest industries. Chad’s population is just over 10 million, with 47% under the age of 15 years and 75% living in rural areas. Life expectancy is a meagre 47.2 years. Although the country is comprised of some 200 different ethnic groups, Arabic and French are the official languages and Islam is the most common religion at 54% of the population. Despite the political violence and unrest, Chadians seem to respect each other’s religious freedoms. Recipe from Celtnet. Makes 2.5 litres. 1. Add 2.5l water to a large pan along with the hibiscus, ginger, cinnamon and cloves. 2. Bring to a boil and once you have attained a rolling boil turn down to a low simmer, cover and cook for 10 minutes. 3. Add the sugar and allow to dissolve completely then simmer, covered, for 5 minutes. 4. Remove from the heat and allow to cool naturally. 5. Strain then refrigerate. Serve with ice. * I decreased the sugar from 300g to 200g, but you might even decide to go to 150g. * I also halved the ginger as too much overpowers the hibiscus. * Garnishing with thin slices of lime adds a little citrus freshness. This was a really good drink. I enjoyed making it (easy) and drinking it (tasty). Using the dried hibiscus flowers knocked off one more of my 2008 Food Challenges. I've done OK so far but I know for sure that I won't be able to complete everything by 31st December. But onto the hibiscus facts for WHB. Hibiscus flowers are large, vibrant and come in a variety of colours such as white, pink, red, purple and yellow. If the flowers weren’t so intrinsically linked to brash Tiki fabrics and plastic tropical décor they might be considered quite beautiful. There are many types of hibiscus, such as kenaf (Hibiscus cannabinus) used in paper and in Polynesia, hibiscus barks and fibres are used to make skirts and wigs. The Hibiscus sabdariffa, the one most commonly used in food and drinks, is known by many names such as roselle, jamaica (Latin America), red sorrel (Caribbean), karkady (Middle East) and bissap (West Africa). The Hibiscus sabdariffa was brought to Australia thousands of years ago by Indonesian fishermen and so many Australians see it as native flora. We turn these “rosellas” into jam, cordial and the flowers are drenched in syrup and used in champagne cocktails. In fact at our own wedding, Jonas and I served wild hibiscus flowers in syrup topped with sparkling wine. Hibiscus drinks are high in vitamin C and minerals and were traditionally seen as a medicinal tonic. In Africa you can expect to find hibiscus drinks in excess, such as bissap (Senegal), wanjo (Gambia), dabileni (Mali) and zobo / tsobo (Nigeria). 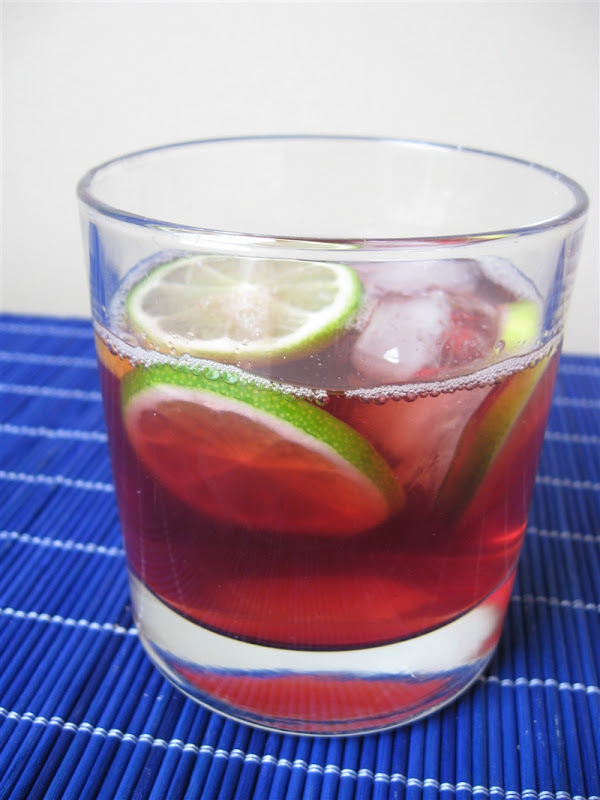 In Panama, saril is an almost identical beverage to Karkanji and is drunk around the Christmas holiday period. In Egypt and Sudan, a tea called karkade is a hot version of Karkanji. In these cultures, where Islam reduces or eliminates alcohol consumption, karkade is used to toast at weddings. 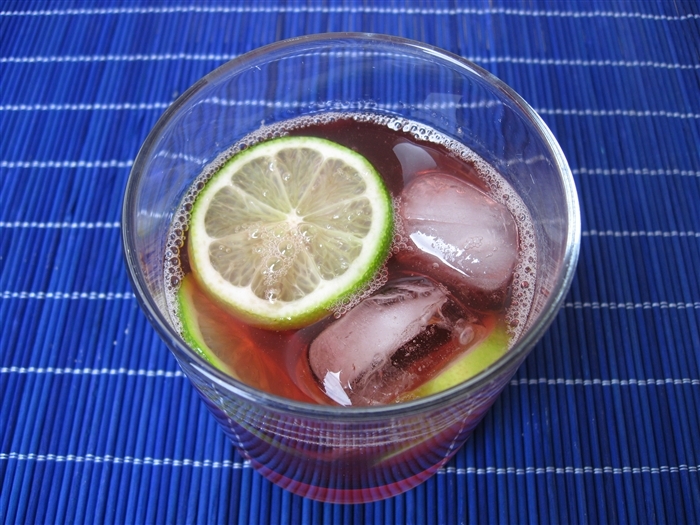 In Mexico, one of the most popular soft drinks or all is agua de jamaica. 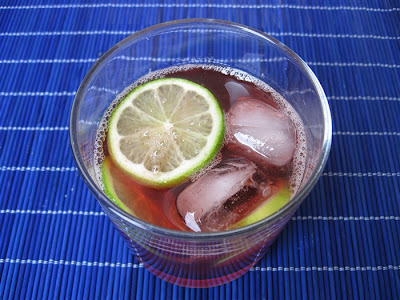 A glass of jamaica is something regularly offered at our close friends Bicky & Robot’s home during the warmer months. When I order in products from Firework Foods I always include hibiscus flowers for Bicky, who I’m sure misses this drink more than Mexico itself. The Mexican version is tart like a slightly more complex version of cranberry juice. In India, hibiscus flowers are offered as supplications to the deities Kali and Ganesha, white hibiscus roots are an important Ayurveda medicine and red hibiscus are used to treat baldness and dandruff. In Hawaii, single women would indicate their availability by wearing hibiscus flowers behind their ear. Hibiscus are also the national flowers of Korea (Hibiscus syriacus) and Malaysia (Hibiscus rosa-sinensis). This Weekend Herb Blogging is hosted by Scott from The Real Epicurean. Go to his blog to read about all the other WHB recipes. I did biy heaps when we were in Egypt for holiday and during the summe ri make a cool drink made from the syrup. I've known about hibiscus tea for a few years, but never tried it because hubby sometimes doesn't like trying new things if it's from a food he's never eaten before (like hibiscus flowers). But now that it's been all over the net about how it reduces blood pressure, I told him he should try some, and he agreed -- for medicinal purposes LOL. I've never had hibiscus, and now that I see your photos, I'm not sure I've even seen it. Very interesting. Would love to have a taste! I've had hibiscus drink in African cafes before and there was a time when bottled hibiscus drink was being promoted in my local shopping centre, but I've never thought of actually making it myself.. I am dying to try this. I think it'd fit really well at my next movie night.